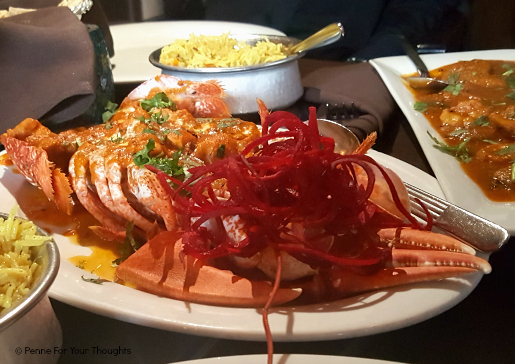 Curry is one of my favourite foods, and Birmingham is no stranger to them, so when I was invited to check out Itihaas' new summer menu I just couldn’t resist! Located on the corner of Newhall Street and Fleet Street, just a short walk from both New Street and Snow Hill railway stations, this delightful curry house popped with charm and elegance from the moment I stepped in. But what was the food like? I can honestly say that it was incredible. 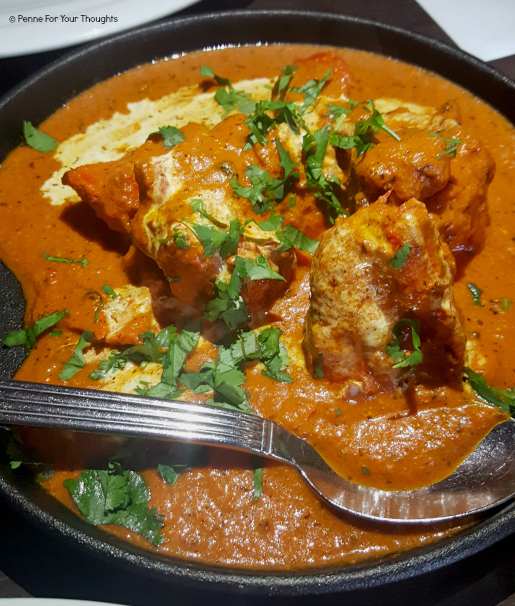 As mentioned, Birmingham has an abundance of curry houses and Indian restaurants, and whilst I have far from tried them all, I tend to stick to my favourites because it can be hard to find a good one! The head chef explained to us that he did not want Itihaas to be just another Westernised curry house in the city centre. His menu was created based on traditional dishes that one would actually find in India and surrounding areas. If you’re after a local Balti or a Tikka Masala that you’d usually get from your local Indian take-away then this really isn’t the place for you, but if you’re after some wonderfully cooked food that’s different and traditional then I urge you to give this place a go. 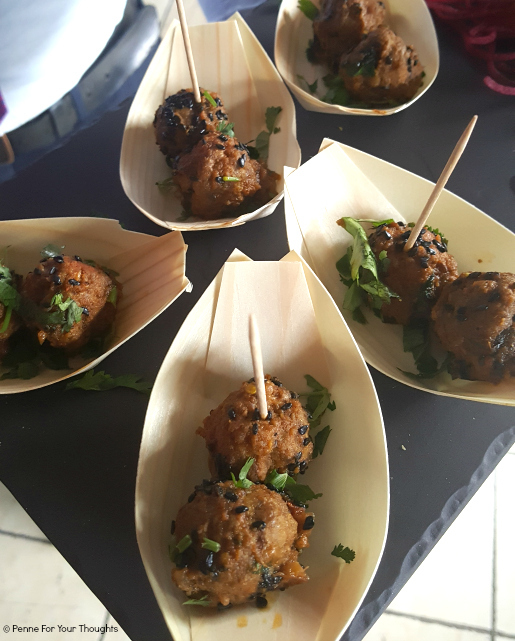 I really enjoyed all of the canapes that I tried and I thought the flavours worked really well across each. 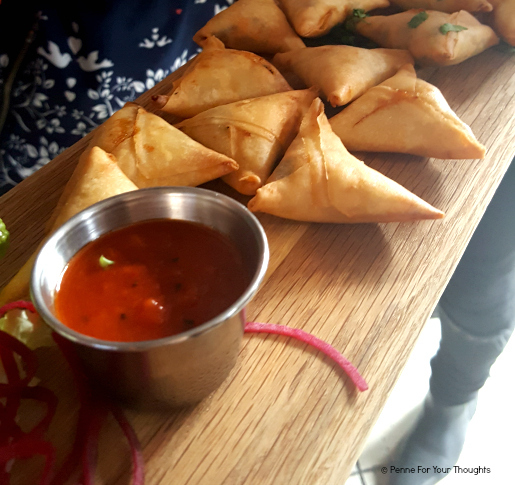 My favourites were definitely the samosas which I thought were an unusual combination but worked well together and the spiced potato cakes which was just a mouthful of spice, flavour and different textures. On to mains! It was a feast. Both for eyes and for belly. Can I pick all of them to be my favourite? It was honestly some of the best Indian food I have tasted. The salmon had a melt in the mouth flavour that went all the way through rather than just being on the top, the chicken fell off the bone and the creamy spicy sauce was delicious. The lobster was the nicest lobster I have ever tried (usually not a fan) but the meat had been scooped out and cooked in a flavoursome curry sauce and then put back in the shell to serve. 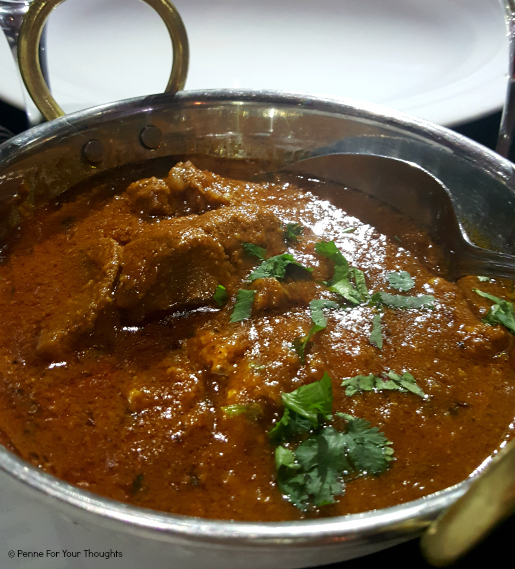 The lamb curry was another of my top dishes, with tender meat and a cinnamon tasting sauce. By this point I was rather full, and enjoying the selection of cocktails they were also bringing us made with Torunska Vodka, but the puddings came out and I couldn't not try! 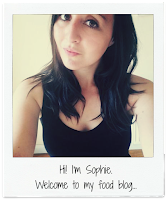 Now, I usually avoid Indian desserts as I was once tricked at a Sikh wedding and told a sweet was fudge (it was definitely not fudge) but for the purpose of the blog I made myself try these ones - and I was pleasantly surprised! I'll put it out there first, I really didn't enjoy the Rasmalai due to the texture reminding me of cottage cheese so that was the one dessert I didn't like. 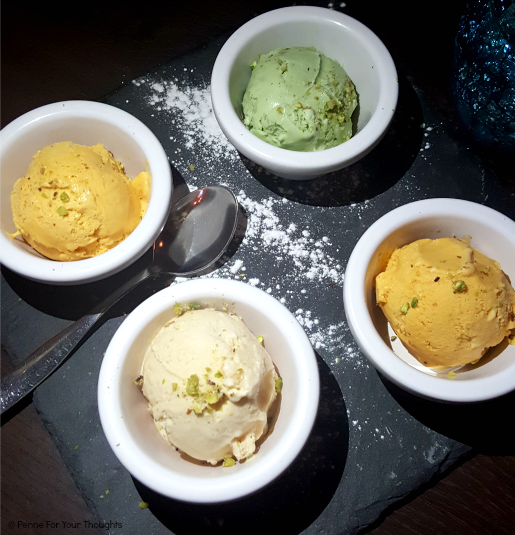 However, the pistachio kulfi was so creamy and refreshing and the chai masala mousse reminded me of a yummy chai tea latte in pudding form. I also enjoyed trying the Galub Jamun and thought the flavour was good but the presentation didn't wow me like the rest of the evening had! Overall I really enjoyed my visit to Itihaas, so much so I'm thinking of booking it for Chris' birthday in October. If you're looking for an Indian restaurant in Birmingham city centre that has a modern twist and great food then this is the place for you. Disclaimer: I was invited to try their new menu and was not charged for my food or drinks however all opinions are my own and I was not forced to write a positive review.